I have been helping the aunt of a friend of mine sort out her genealogy material. It has been interesting to talk with her (and my friend) about their family because their relations came over to America much more recently than my own. They are some serious Irish. Like…REALLY Irish. Like most of them are named Patrick, Bridget, Mary, or Joseph Irish. There is only one branch of my family that came to America after 1830 or so. That is a branch on my maternal Grandmother’s side. They’re Welsh and they unfortunately have the most boring and average names you could find. There is a Jones branch and a Smith branch. Very helpful. Thank you. 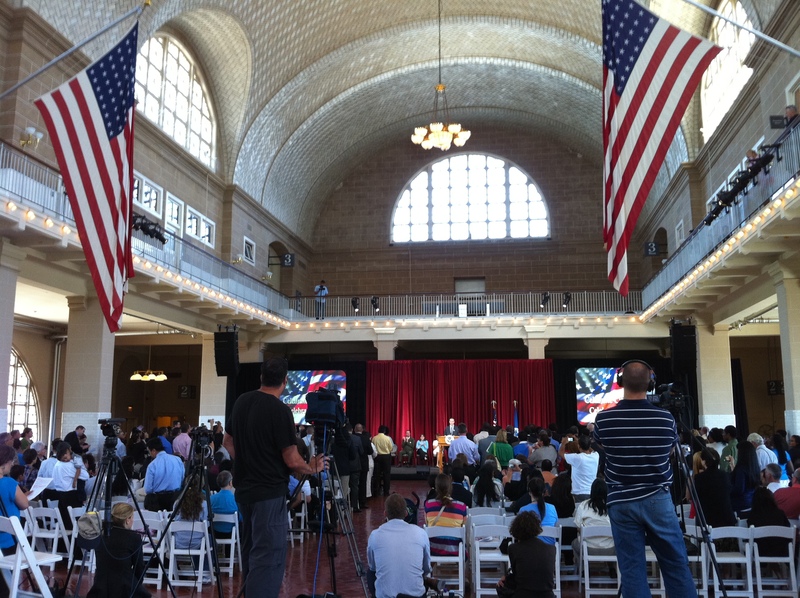 While we were in New York recently we were lucky enough to be at Ellis Island the day that they were naturalizing new citizens. I have to say it was kind of moving. I’m interested to know if two generations down the line the children of these new Americans will know where they came from. 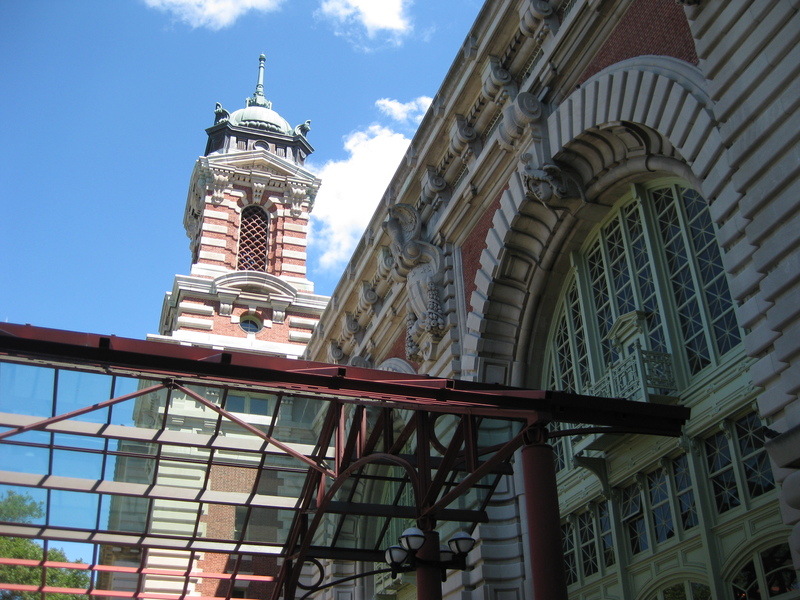 Front entrance to Ellis Island (Museum). This entry was posted in Genealogy, Other families, Travel and tagged ancestry, Basque, Cuban, Ellis Island, genealogy, Irish, Welsh by amanita. Bookmark the permalink.